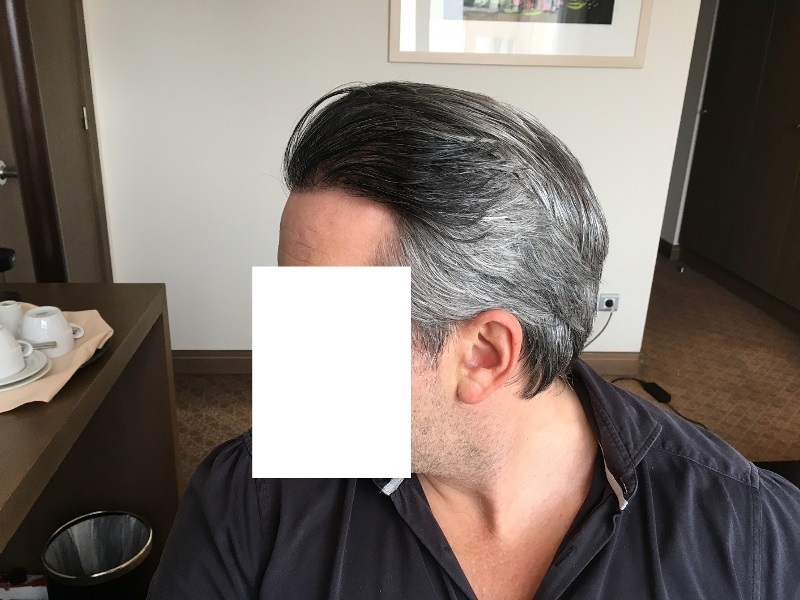 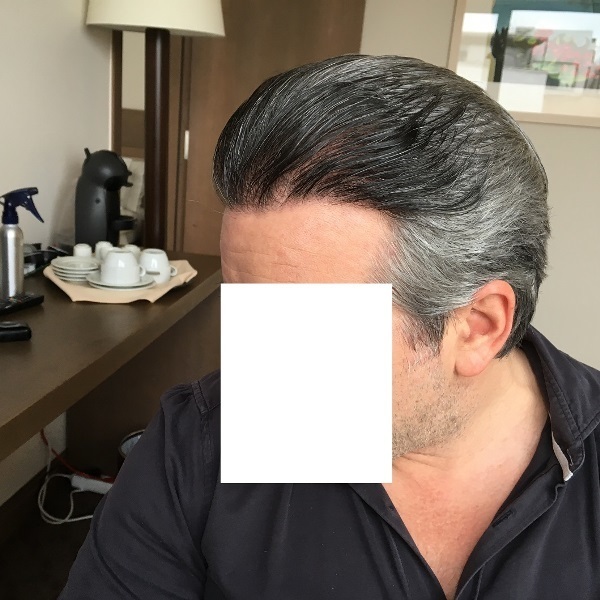 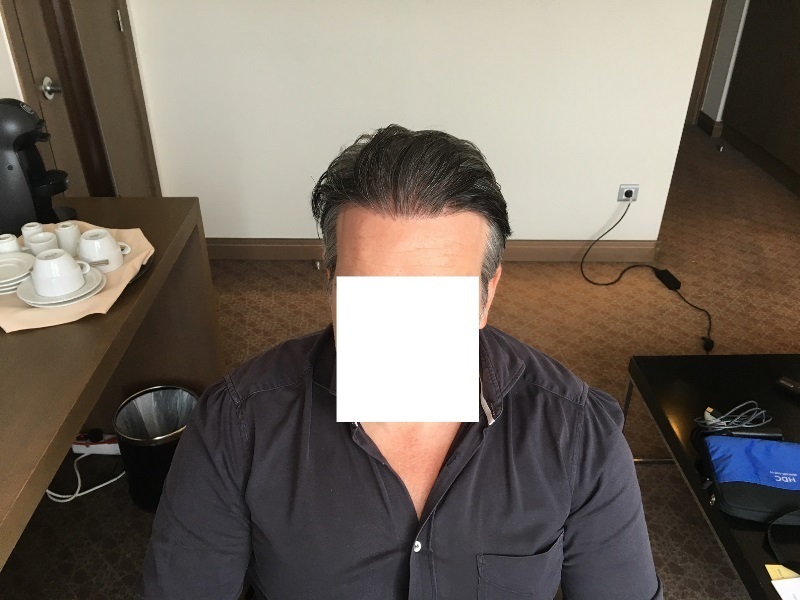 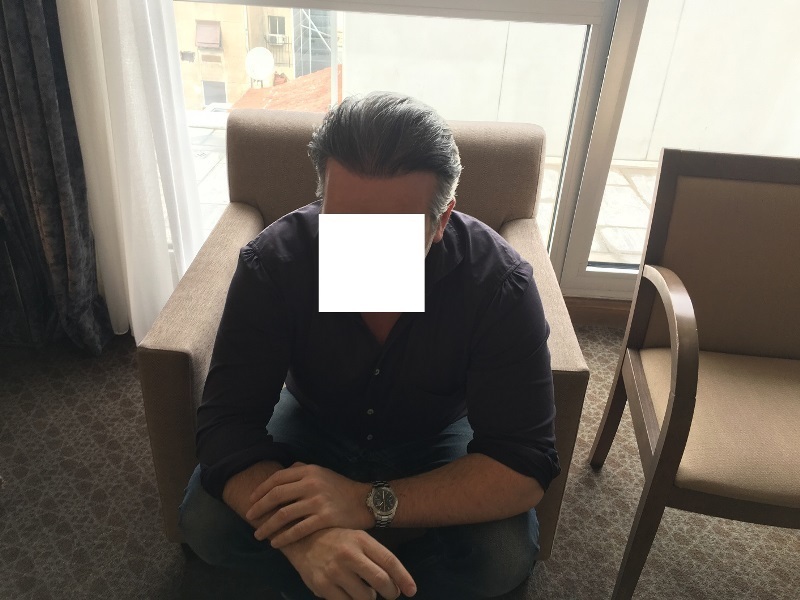 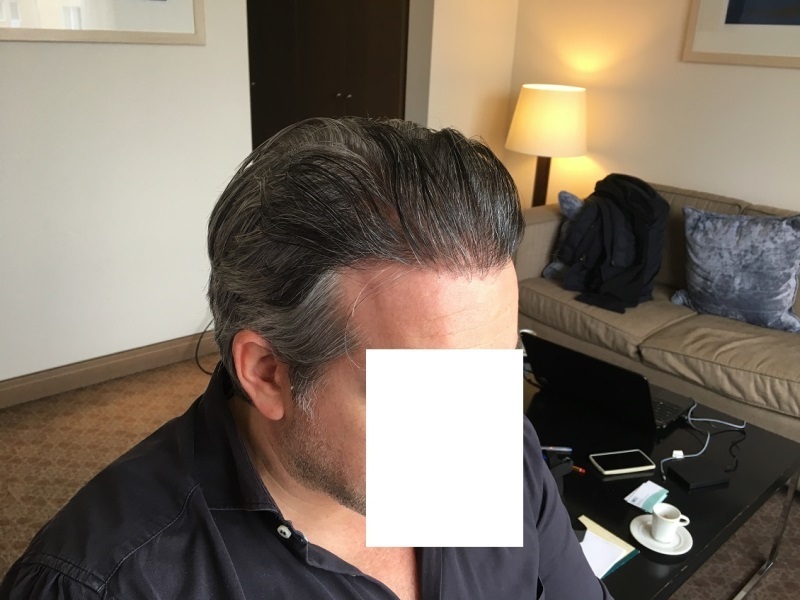 This is a 43 year old patient who wanted to replace his front with good coverage but natural looking result for his age and image. 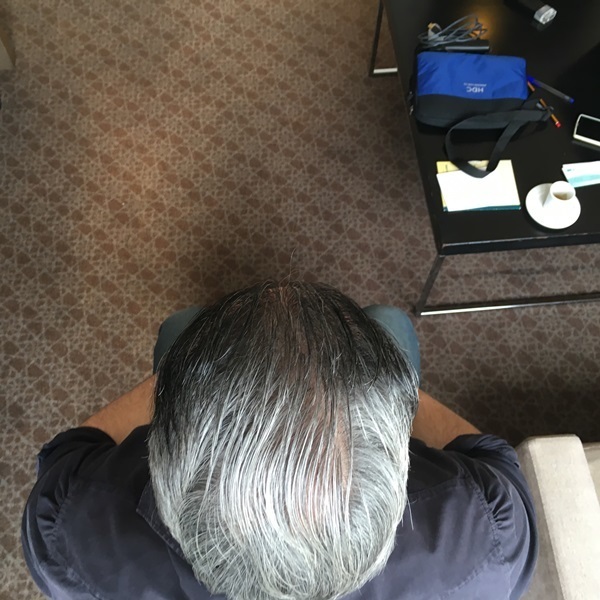 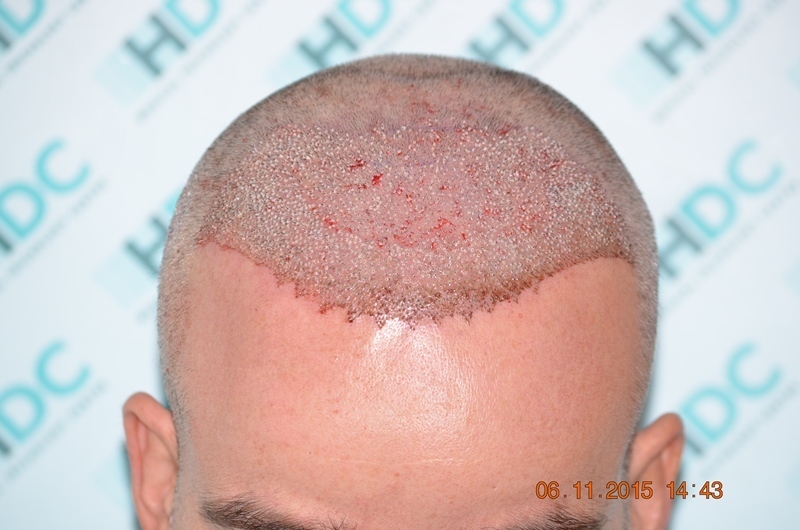 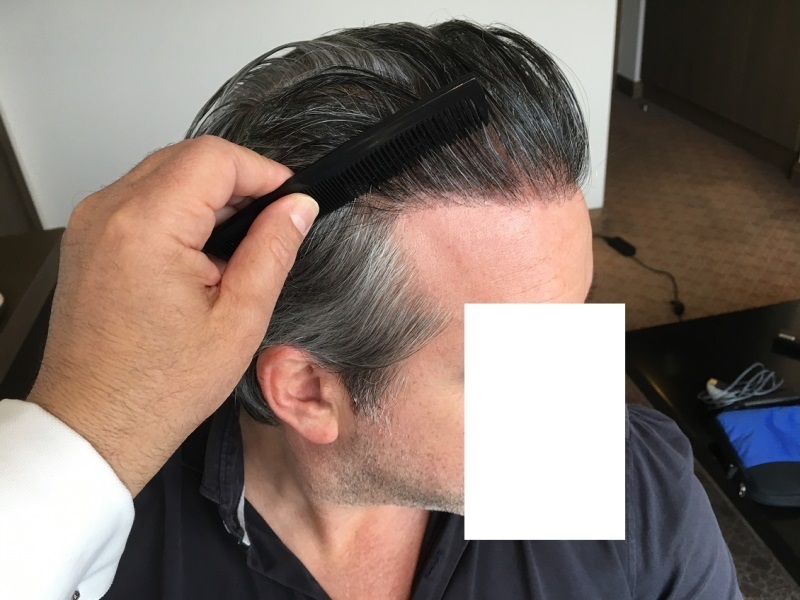 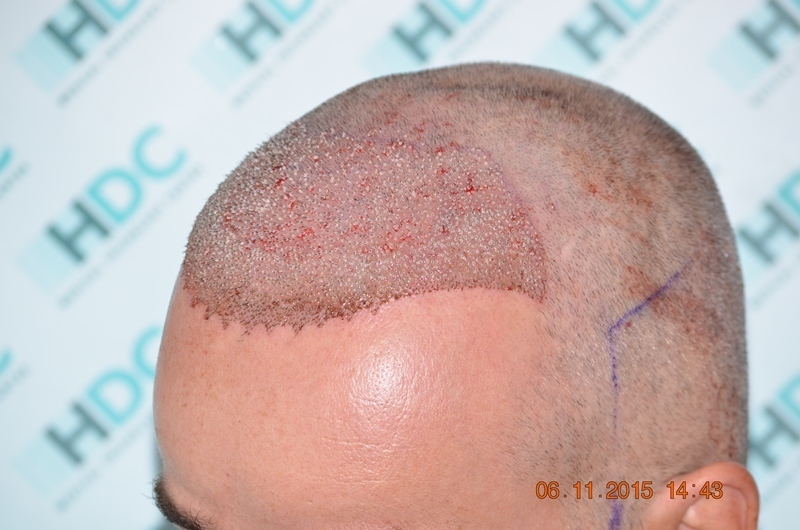 HDC covered all the balding area so as to join the transplanted hair with his own existing hair. 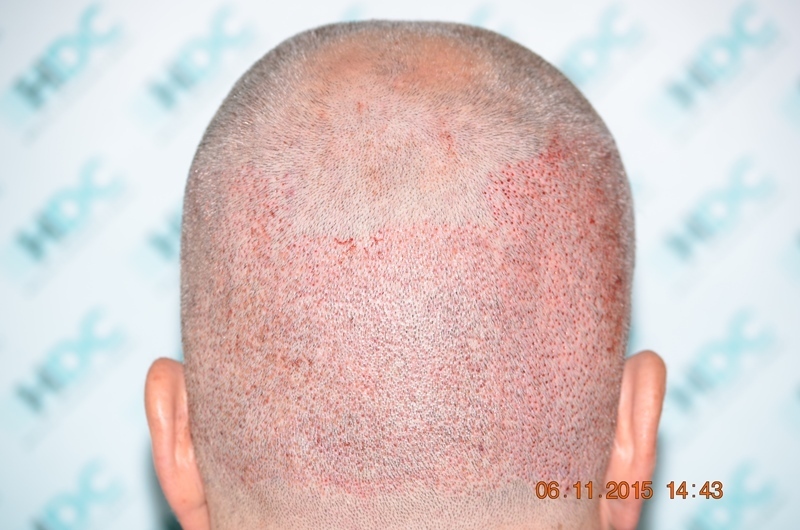 3465 grafts were needed to do the job. 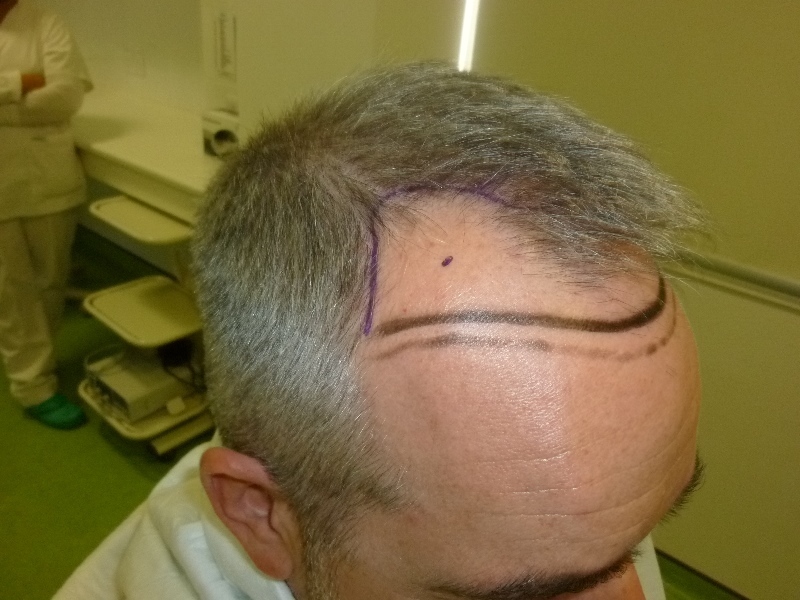 We have drawn two lines for hairline during the design stage so as to see which was the most appropriate. 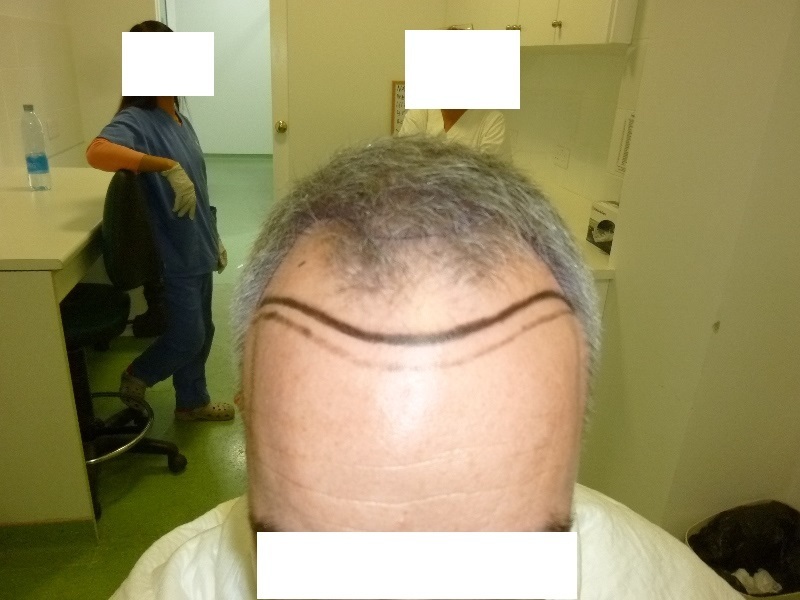 We used the lower one in the end. 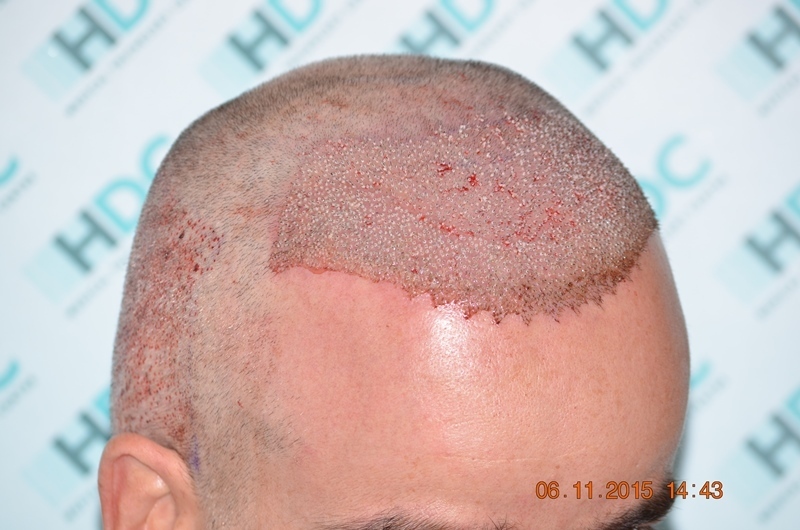 We are presenting his case with before, post op and after 15 month photos. 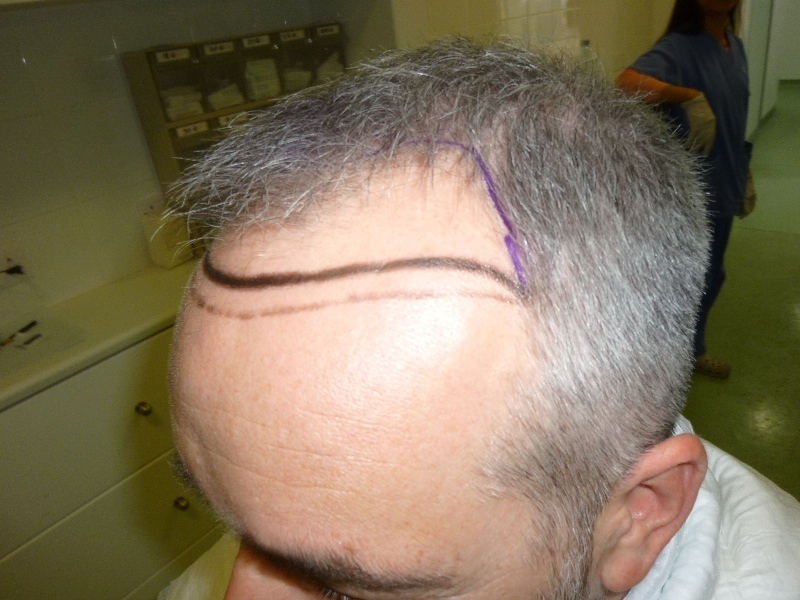 We are also presenting his donor area post op, for you to see how it looks just after the end of the surgery. 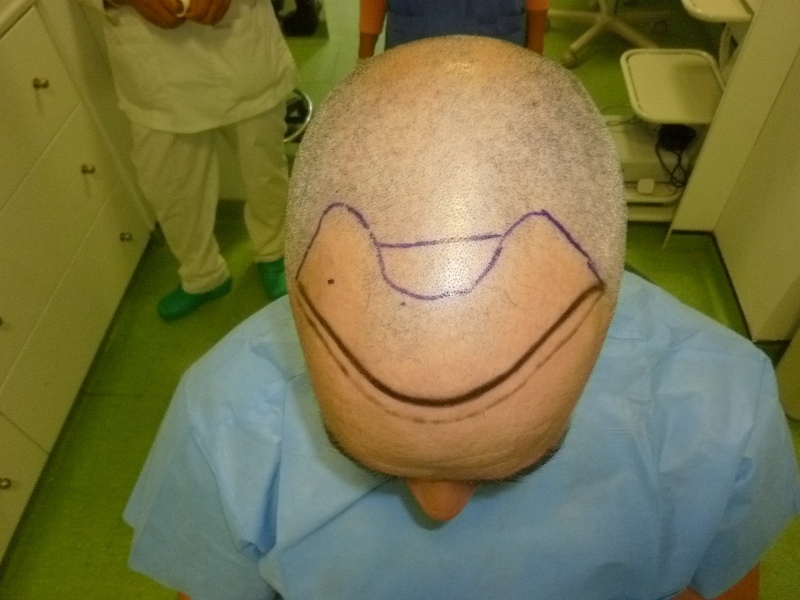 Wow very nice for only 3465 grafts!